Choose from an expansive selection of shower systems to increase the functionality and aesthetic appeal of your bathroom. Offering Luxury Bath shower product sales and new shower installation for homeowners in northern Texas and southwestern Oklahoma. For most people, showering is simply part of their daily routine, whether it is to help them wake up in the morning or to relax after a long-day. 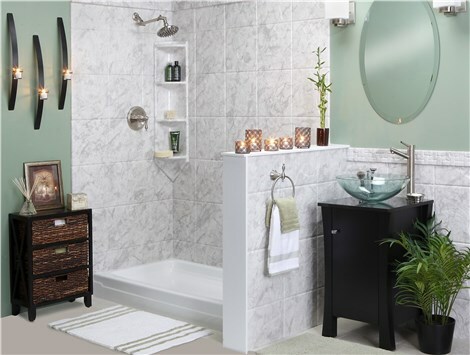 Enhance your shower experience by replacing your old, outdated shower with an innovative new model from Luxury Bath Texoma! 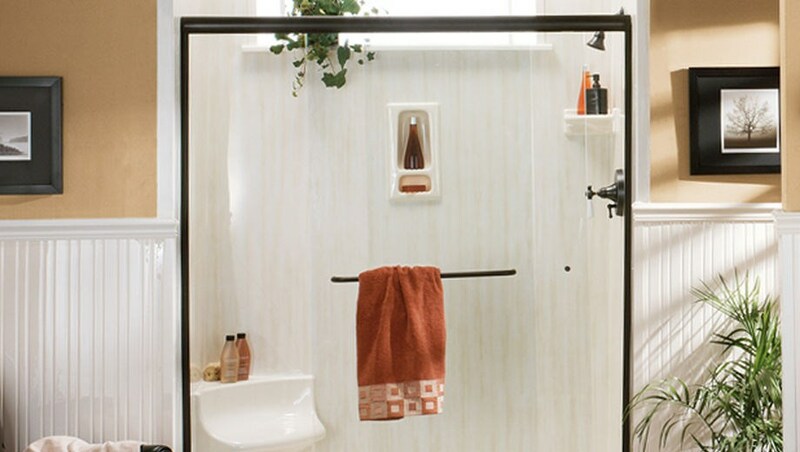 Over time, mold and mildew can wear away at the integrity and aesthetic appeal of your shower surround. To keep your bath experience comfortable and clean, we offer high-quality shower products that are customized to suit your unique space. Durable, Eco-Friendly Construction – Our 100% recyclable showers are made from multi-layer acrylic that is guaranteed to last for years to come! Microban Technology – Avoid scrubbing mildew and worrying about nasty germs with the security of our shower’s state-of-the-art Microban construction! Fast, Quality Service – Our hassle-free approach makes it possible for us to complete your new shower renovation in as little as two days! Professional Installation – Luxury Bath Texoma employs only the best installation professionals in the industry for superior quality. Whether you need to replace your existing shower with a stylish new option or want to convert your old tub to an efficient shower unit, Luxury Bath Texoma has the largest selection of innovative bath products in the industry! 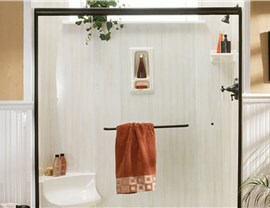 Not sure which product would work best for your bath space? No problem! Our experienced designers will come to your home for a free consultation to help you choose the shower units that best suit your needs. 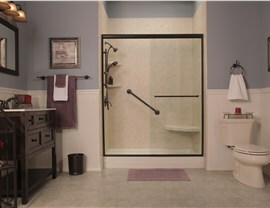 Modernize the look of your bathroom with one of our exclusive bathroom showers! 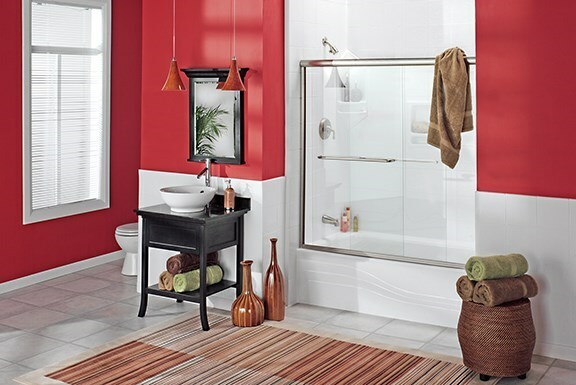 Tub-Shower Combo – A favorite for family bathrooms, our selection of tub-shower combos can make your busy life a bit easier! 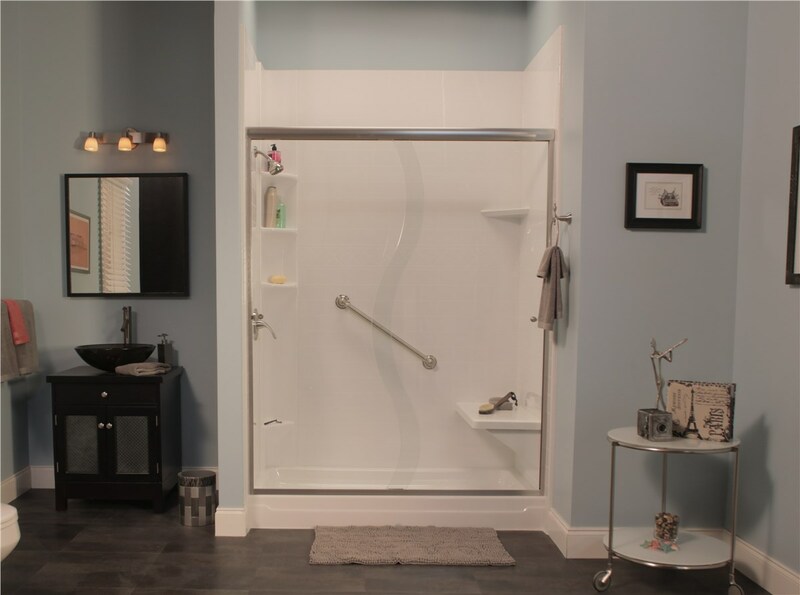 Walk-In Showers – Efficient standard single threshold showers are the perfect way to save space and time when remodeling your bathroom! 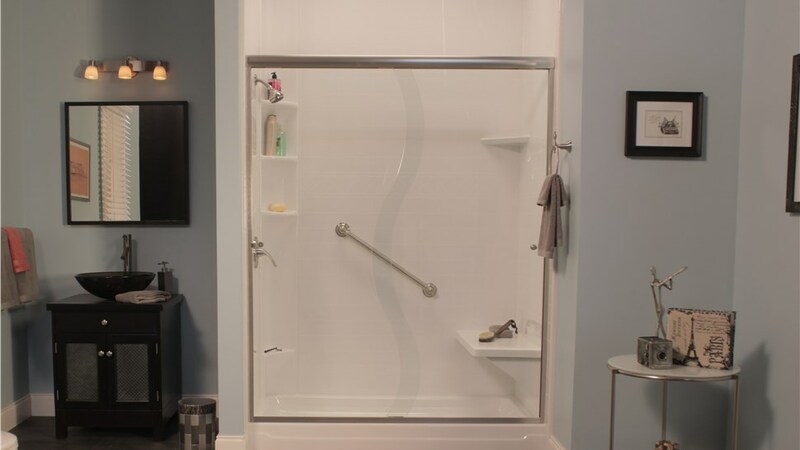 Roll-In Showers – Accessibility is a concern for many, and we can accommodate the unique needs of your home by helping you select the perfect roll-in shower. 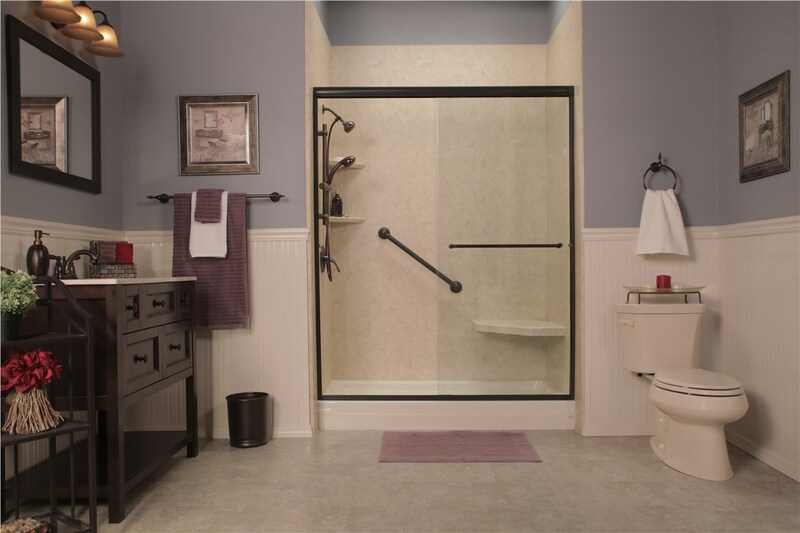 Whether you need a sleek neo-angle shower unit or barrier-free shower entry, let us help you make your bathroom your favorite room in the house!